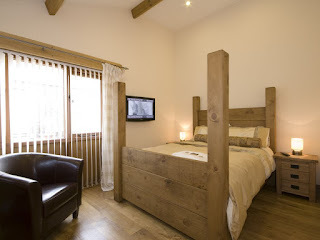 Danni Laura: STAY: Wooldown Holiday Cottages, Bude. 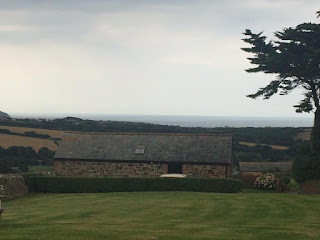 At the end of August, me and Glenn had a week long holiday in Cornwall, staying at Wooldown holiday cottages near Bude. I hadn't been to Bude since I was seventeen, so we're talking over a good ten years but it was just as beautiful as I remembered. 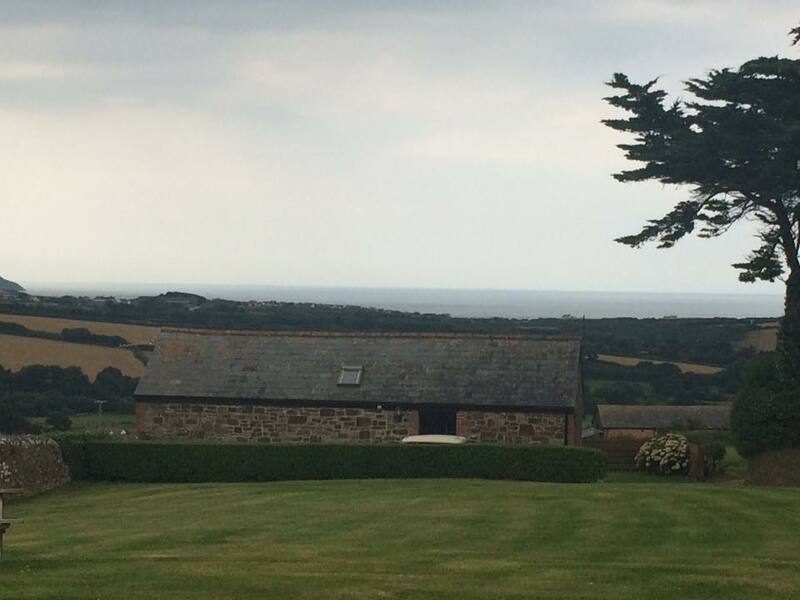 Wooldown is a family run business and sits just outside Bude in the small village of Marhamchurch with amazing views of Widemouth Bay. There are two larger cottages for families and then a further fourteen cottages that just sleep two, most of which reside in an adults only zone. No children ruining your romantic getaway here! Let's talk about the bathroom facilities... That spa bath! I fell in love with it, and now my plain old boring bath at home just doesn't seem to cut it anymore. 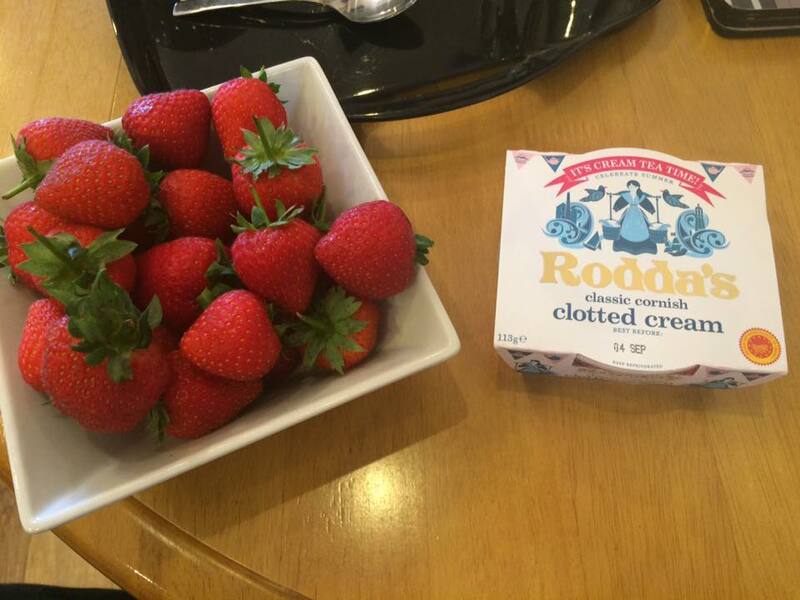 Another plus was the strawberries and clotted cream waiting for us in the fridge on our arrival. We also got a goodie bag of treats for the journey home when we checked out. Such a nice touch that we've never got anywhere else. 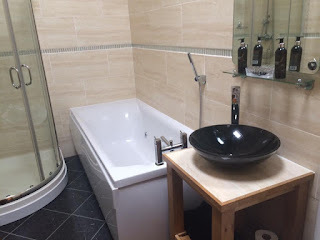 After our week in Cornwall, Glenn decided it was his best holiday ever so it's obvious that Wooldown would be our first choice for staying in Bude again. To find out more about Wooldown click here. I'll be posting another blog in a few days of places to eat out in Bude because while, yes we did have a kitchen in the cottage, we did eat out for six nights out of seven! Don't forget you can also follow me on bloglovin to keep up to date with new posts.